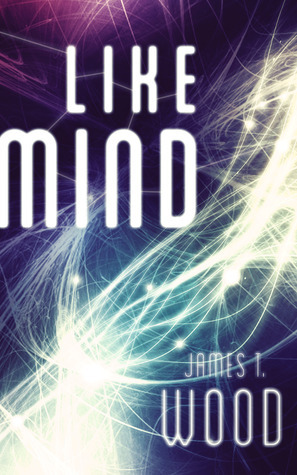 Like Mind is a fast paced science fiction/thriller novel/novella (felt pretty short I finished it in about 2 hours) that makes big promises in a good looking package. It follows Corey and Anka on the trail to find out a lot of information in a short amount of time before they get killed. Sounds fun? Well its gets better with some really cool mind science thrown in plus some unexpected plot twists. Like Mind promises a lot and delivers on every one and provides a really good story even if it is a bit short. Well I was pretty surprised at first and a bit wary at reviewing this book. The plot sounded shall we say a bit different. Not something I was used to even as a science fiction author and reader. I've been broadening my horizon and to date haven't rejected a book. So I requested a paperback which incidentally came today. I decided to write a review while the plot was fresh in my mind. First thing to say is: mind = blown. A guy who somehow is a theologian has brought to life all of my fantasies of the spy world influenced by a man named Bond, Chuck Norris, and McIver. The book read like butter and to my surprise did contain some choice words a spy might use still not to warrant a complete dismissal. Spy stereotypes weren't visible and the female character role was made quite nice not a typical chica. Well done Mr. Wood I highly recommend. 4.5/5 So good I'd give it a 5 but the cursing it does include (comes along with any spy novel granted) limits its audience to 15 and above. Still nothing real bad in it and the writing style was unique.